The Most Fun and Colorful Watches for Women! I absolutely LOVE wearing fun and colorful watches! They are so ‘happy’ and cheerful! I have quite a collection and I usually like to ‘match’ them with my outfits! Here are my top favorite fun watches for women! Is there anything more colorful than a rainbow ladies? That’s why I absolutely LOVE colorful rainbow watches! 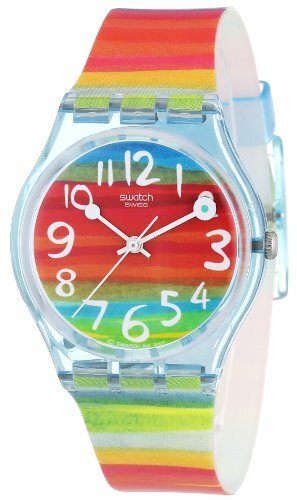 This is an awesome Swatch rainbow watch for women! It’s fun, ‘happy’ and very affordable! Great birthday gift idea for any happy ladies! This is a fun blue aqua green colorful watch! I love the pink numerals too and the silicon rubber strap! Great watch to wear on a beautiful sunny day! This is definitely among the most fun and colorful watches for women! It’s full of cute and colorful hearts all over it! Will definitely make you feel HAPPY right away! 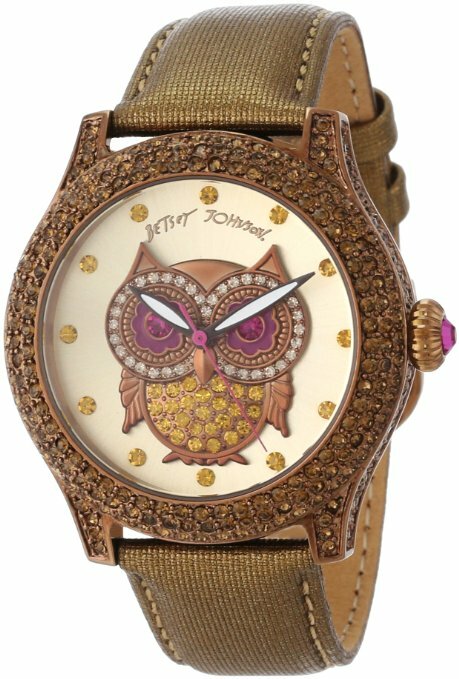 Gorgeous Betsey Johnson Fun OWL Watch! I can’t believe I actually found this gorgeous OWL watch ladies!! How fun and creative is it? It has a beautiful bronze color and the owl has cute pink flower eyes! This is a great owl gift idea for any girly lady folks! I love all Betsey Johnson watches too! They are all so much fun and unique! Look what she came up with now! 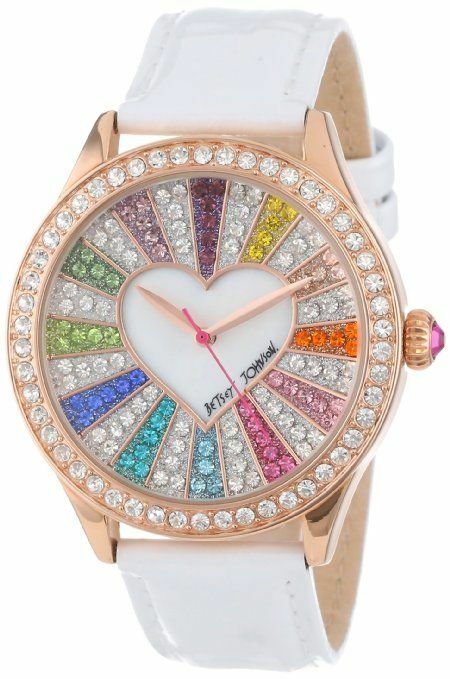 A fun rainbow heart watch full of colorful sparkly crystals! 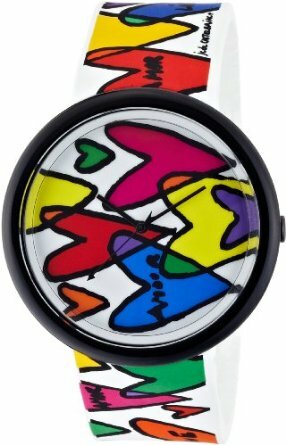 How fun and very creative is this Betsey Johnson 3D red lip watch? What a fun watch gift for a special girly girl in the family! 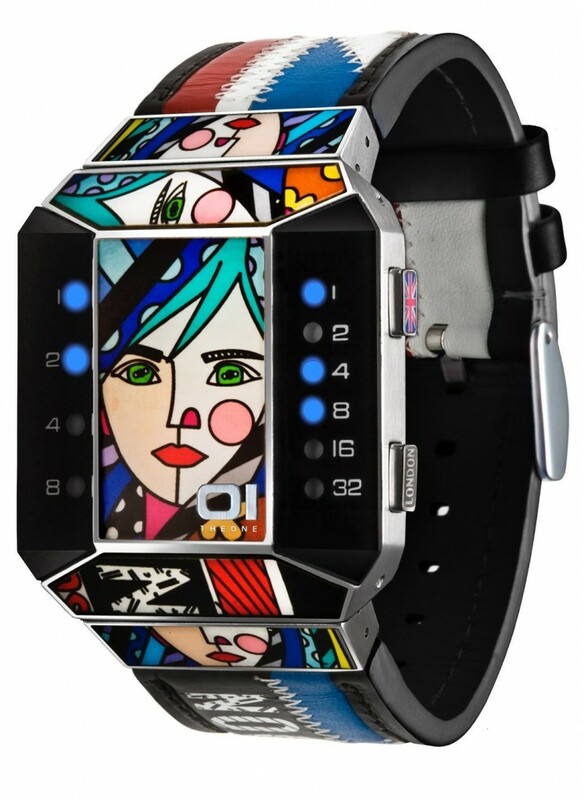 How fun and unique is this amazing Romero Britto art watch? It has a 100% colorful leather strap as well and an amazing design! It is a high-quality artsy fashion timepiece! Fun and Cool Watches for Women! 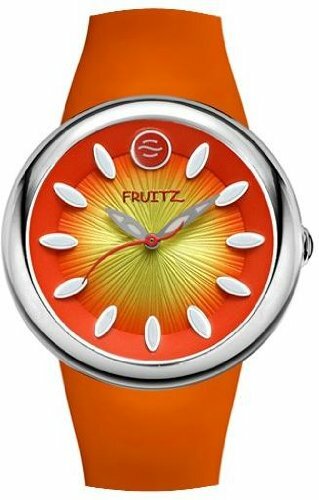 Then wear a cool orange watch that reminds you of a real orange! Can you smell the citrus already? This is one of my favorite green watches for women! 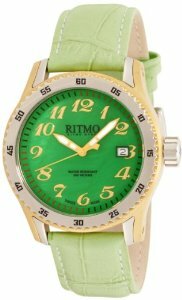 It’s a beautiful Ritmo Mundo mother-of-pearl-dial watch with yellow gold numerals and a strong green background color! It’s a great casual elegant fun watch to wear! 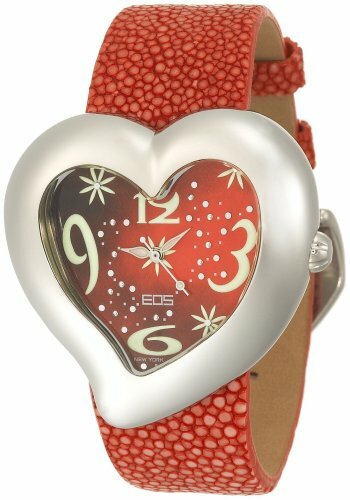 Isn’t this fun red heart-shaped watch just perfect for Christmas? It spells I Love Christmas, doesn’t it? It has cute sparkly snowflakes inside and it’s red! What a fun Christmas gift idea for your lady!